The primary function of Governmental Relations is to serve as a liaison with all levels of government on behalf of the State Board for Technical and Comprehensive Education (State Board) and its 16 Technical and Community Colleges. Governmental Relations monitors all state and federal legislation to identify issues that may affect the State Board and its associated colleges. In addition, the division works with state and federal legislators and agencies to support legislation or regulations that would enhance the missions and operations of the State Board and its 16 Technical and Community Colleges. 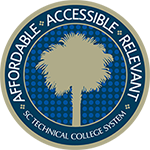 Governmental Relations enlists alumni and friends throughout the state to serve as advocates for the State Boards and its 16 Technical and Community Colleges with the South Carolina General Assembly and the United States Congress on matters that impact the System.